Glioblastoma multiforme (GBM) is the most malignant form of high-grade astrocytoma. GBMs are the most common adult primary brain tumors, and make up approximately half of all astrocytomas. They can occur at any age, but are more common in older patients. Initial symptoms, such as headache and nausea, usually are the result of increased intracranial pressure caused by the bulk of the tumor or a backup of the cerebrospinal fluid that surrounds the brain and spinal cord. The glial cells are widely distributed throughout the central nervous system, so these tumors can occur in a wide variety of locations, and therefore can cause a wide variety of other symptoms. Depending on the location of the mass, gliomas may cause seizures, weakness or numbness in the limbs, impairments in language function, blurred or double vision, gradual changes in mood or personality, and memory loss. In addition, high-grade astrocytomas are characterized by seizures and specific neurological deficits. GBMs may be large before they begin to cause symptoms. These tumors are diagnosed with imaging studies and tumor biopsy. In a biopsy, GBM can be characterized by the presence of necrosis, or cell death, which is not present in anaplastic astrocytomas. Currently, magnetic resonance imaging (MRI) is the best available imaging modality. Computed tomography (CT) scans also are used. For either study, an agent that provides contrast in the image is administered intravenously so neurological surgeons can visualize the tumor against the normal brain in the background. 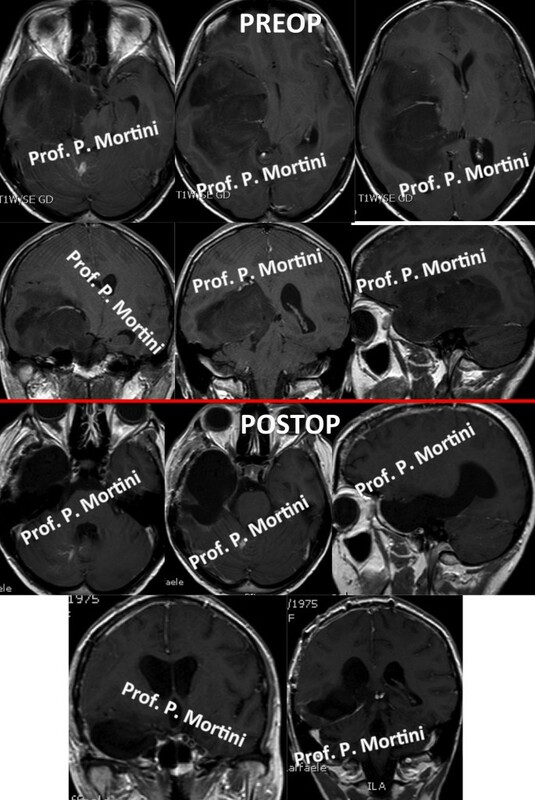 In some cases, neurosurgeons may employ an MRI scan with frameless stereotactic guidance. For this study, a high resolution contrast MRI is performed, sometimes requiring special markers (called fiducials) being placed on the patient’s scalp. The MRI scan is processed by a computer, and a three dimensional brain model is constructed. This can be used in the operating room to minimize the size of the surgical exposure, maximize tumor removal, and minimize injury to the surrounding brain. High-grade astrocytomas require aggressive, intense therapy. Surgery is a primary form of treatment, but is almost never curative. These tumors tend to penetrate healthy brain tissue at the microscopic level, making complete microscopic resection unlikely and recurrence almost certain. As a result, surgery almost always is followed by radiation therapy and chemotherapy. 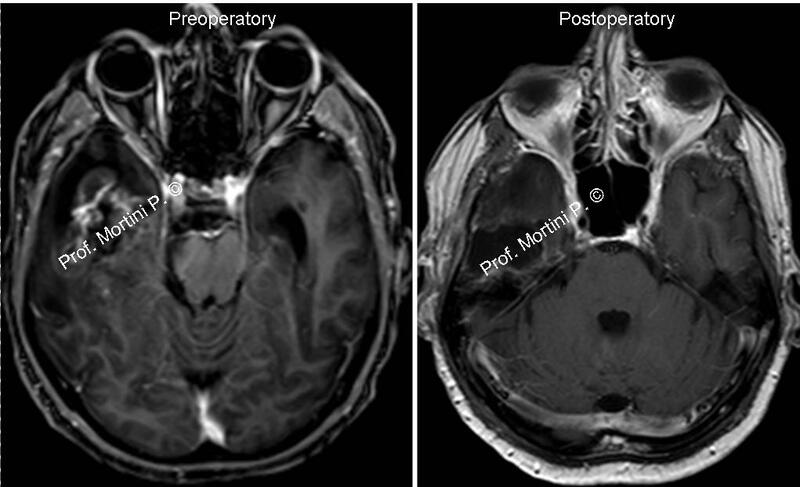 Stereotactic radiosurgery also may be used in cases of some cases of tumor recurrence or to target focal areas of recurrence following chemotherapy. New therapies, such as immunotherapy, vaccine therapy, gene therapy, and new chemotherapies are being examined. Convection enhanced delivery is being used to deliver novel therapies directly to recurrent malignant brain tumors.